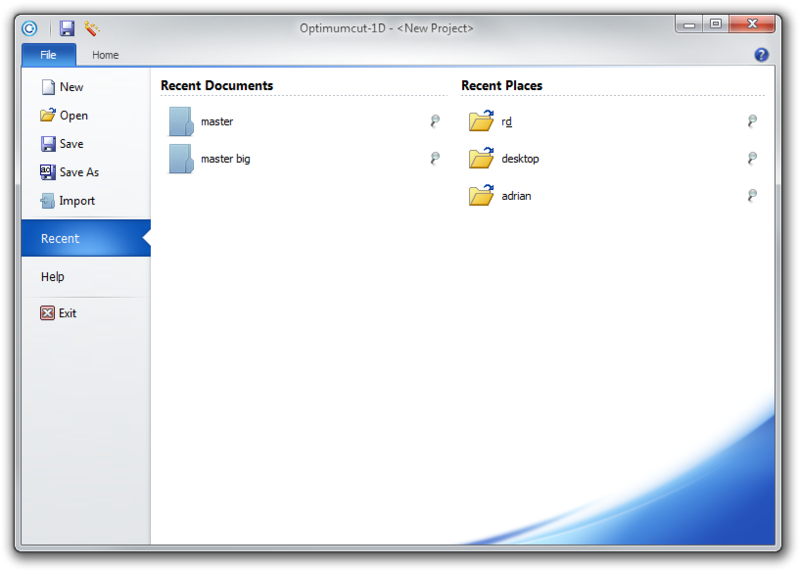 The File menu provides all file related functionality for an Optimumcut-1D project. New : Creates a new project using your default options. Open : Opens an existing project from disk. Save : Saves the current project to disk using the existing name and location. Save As : Saves the current project to disk using a new name and location. Import : Imports an Optimumcut-1D v1 or v2 project into a new Optimumcut-1D v3 project. Recent : Lists the recently used projects and the folders they were within so they can be re-used quickly. 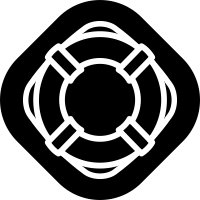 Help : Provides access to all of the methods of help available for Optimumcut-1D. Exit : Exits the application.